the following types of data (entities): patients, doctors, procedures and appointments. 1. Please identify the attributes and primary keys needed for each of the entities. 2. Identify the data types you would use for each of the attributes. 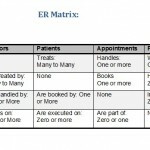 Use the ER matrix to determine the relationships. 4. 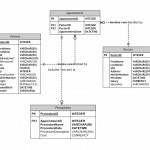 Create an ER diagram using Visio based on your analysis. 5. 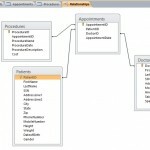 Identify all foreign keys needed in the database design. 6. 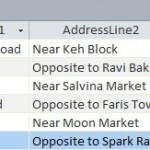 Create the database in Access and populate the tables. NOTE: The Case Study is an individual project. Upload completed Visio Conceptual Design. to mitigate the security issues.